AUSTIN — Organizers of an interfaith Thanksgiving celebration scrambled to find a new location after an evangelical Baptist megachurch objected to Muslims worshipping on its property. Hyde Park Baptist Church notified Austin Area Interreligious Ministries last week that it wouldn't allow the event scheduled for today at Hyde Park's sports complex. The Thanksgiving event is in its 23rd year and invites Jews, Muslims, Christians, Hindus, Bahais and others to worship together. Austin's largest synagogue, Congregation Beth Israel, has offered to host the celebration, organizers said. What part of INTERFAITH was not clear to Hyde Park Baptist? "Although individuals from all faiths are welcome to worship with us at Hyde Park the church cannot provide space for the practice of these non-Christian religions on church property. Hyde Park hopes that the AAIM and the community of faith will understand and be tolerant of our church's beliefs that have resulted in this decision." Tolerance for their intolerance. Sad. But last week, Hyde Park Baptist told the group they couldn't use the Quarries, mostly because of the Muslims. So the prayer gathering took place Sunday at Temple Beth Israel instead. You had Jews and Muslims in the same place and no barbed wire. So in a sense, the Baptists performed a miracle. Why did Hyde Park Baptist decide to give the mixed prayer group the old heave-ho? Simple. They don't want non-Christian stuff going on on their land. I didn't realize telling people to get lost was Christian, but you learn something every day....So they're pleading for tolerance while being intolerant. In these situations, people often ask the question I mentioned earlier, "What would Jesus do?" If Jesus ran the Quarries, I don't think he'd charge rent. I also don't think he'd turn anyone away. And, from what little I've read of the Bible, he'd probably provide free grub, although probably seafood. Before I would agree to labelling the Hyde Park Baptist Church "intolerant," I think their side of the story needs to be told fairly, and not through the filter of an obviously biased reporter on the attack. Some things may not be quite so obvious as he thinks they are and his reputation for "irreverence" calls into question his branding of a group of Christians as "intolerant," as well as his ability to report on their perspective fairly. Kelso wrote the op-ed that I cited. He is certainly entitled to his opinion. And you are entitled to disagree. But Eileen Flynn reported on the story for the American-Statesman. Are you challenging her coverage as biased? If so, where is the bias? 1. This interfaith event has been held in Austin for 23 years. Interreligious Ministries won't make the mistake next time of renting space from a faith group that they can't make good on a promise. You don't seem to grasp the concept of respect for religious diversity. I'm no pluralist. And those who participate in interfaith events are not automatically pluralists. If a fundamentalist Baptist like Sonny Perdue can hold an interfaith prayer rally on the steps of the Georgia Capitol - surely a diverse group of religious folk including Texas Baptists can celebrate Thanksgiving together. I'm not sure what is unclear about an "interfaith" event. The church shouldn't have agreed to it in the first place, if they felt this way about it. I don't blame them for not wanting to host it, but this should have been the position from the beginning. I would like to hear more about why Hyde Park decided not to honor their decision before I make up my mind here. Knowing how poorly Baptist church polity works, I wouldn't be surprised if the decision was made by someone in the church who did not understand what they were doing and did not attempt to get permission from the greater body. Having said that, my biggest problem with what they did is that they agreed to rent space and then backed out. But I don't think any Baptist should have a problem with their rationale for not wanting an interfaith service on their campus. Baptists have historically been very clear on how they feel about other religions. While respecting diversity and calling for religious liberty, early Baptists never believed that they should worship with those of differing religions. Consider the fact that the majority of Baptists in America and abroad practiced closed communion, even calling pedobaptists heretics and barring them from even praying in their churches. Spurgeon was seen as a radical for having a pedobaptist preach at his church. So intolerance is clearly the wrong word choice here. These people aren't intolerant, they are simply incompetent. Tolerance doesn't mean one agrees that all worship the same God (despite the current PC view), nor does it mean that one believes that they can worship with others of the same faith. 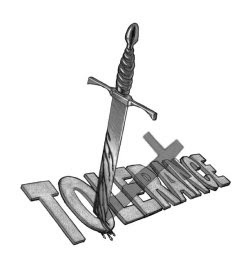 Tolerance means that one is able to endure a difference of religious views without violating another's rights. And intolerance means one violates another rights because of a difference of views. This church, despite going back on their word, didn't violate these group's rights. In our society not conforming means being intolerant, and our Baptist forefathers were persecuted for not doing so. Even though this church screwed up in their decision, they have every right to allow whomever they wish to use their facilities. And if it violates their conscience to allow the worship of false gods on their property, then others should be "tolerant" of that as well. Unfortunately for those yelling "intolerance", it works both ways. I don't have a problem with their rationale for not wanting to host an interfaith service. The story-line seems, to me at least, that Hyde Park was okay renting out their gymnasium to an interfaith Thanksgiving service. But had a change of heart once members realized that several Muslim groups were leading the event. That's why I chose the word intolerance in the title above. Hyde Park seemed to tolerate an event led by and primarily attended by Jews, Christians, and even liberal groups like UU but were not willing to tolerate Muslim involvement and Muslim groups taking the lead. I serve on the staff of a church that has a facility which, because of location and design, is frequently "rented" by outside groups. We have a fellowship hall, plenty of meeting space, a gym, a large sanctuary, lots of parking and a location right off the exit of a major freeway. I am the designated staff person to contact when a group wants to rent our facility, and pretty much have wide discretion over who we rent to. In most cases, it's not a problem, but there are some groups who bring requests which I will run by the deacon chair and either stewardship or house and property to get their opinion and approval. It seems to me that what happened at Hyde Park was that permission was originally given when it probably shouldn't have been, and the church had to reverse a decision that apparently was made without proper approval earlier. That's unfortunate, but it is not an example of "intolerance." How many mosques in Austin would permit Christians and Jews to worship in their own way on the premises? For that matter, how many mosques would permit Christians and Jews through the front door, period? None. Yet, I do not see very many members of the secular media denouncing that as "intolerance." Hyde Park may have made a mistake in originally agreeing to rent their facility to host the event, and they are apparently guilty of a lack of internal communication, from what I can gather. But their decision is not anywhere close to an example of intolerance or a "lack of respect for religious diversity." They rented their space to a group, and then later, determined that a mistake had been made and changed their mind. Did they keep the money or something? Are they not entitled to make even a last minute change, for whatever reason they deem necessary, related to the use of their own property? Eileen Flynn's failure to treat them fairly is bias, pure and simple. You've lost me here. Why can't mosque's host interfaith services or events? I had to look this up. Hyde Park Baptist has a staff of 50. Someone decided they didn't want the interfaith meal after it had been booked. What mosques won't allow an interfaith group in? Of course none Muslims are welcomed. How do you know an Austin mosque hasn't hosted this event? There are seven in Austin according to my research, five are Sunni, one is S'hia and one is Nation of Islam. Nothing in their faith says they can't hold interfaith services, they do. What mosques in Austin do not permit none Muslim events? "The event featured a Jewish shofar — a trumpet typically made of a ram's horn — a Muslim song calling for prayer and Christian bell music. Religious leaders from several faiths and denominations, including Methodists, Bahais and Buddhists, took part. At sundown, the Maghrib, the fourth of five daily Muslim prayers, was also held there." Living in a Muslim country, I can say that if the mosques allow non-Muslims inside, they are not following their own tradition. Hence, if you go to the mosque at the Dome of the Rock in Jerusalem, you are not allowed to enter with any sort of hymnal, prayer book, or sacred text other than the Qur'an and you must vow not to say or perform any non-Muslim rite. It was wrong and shady of Hyde Park to pull their acceptance, but they should not have allowed it in the first place. I think there is a difference between bad judgment and intolerance, but as we have seen, Baptists are willing to do many things in order to not affirm other beliefs. There are dominant Arab countries, predominately Muslim that do not permit none believers in their mosques, I wasn't inferring otherwise. If you are in Niger Shadrach, you are in a dominant Muslim country. Same issue in Saudi Arabia, Morocco, Libya, etc. "How many mosques in Austin would permit Christians and Jews to worship in their own way on the premises? For that matter, how many mosques would permit Christians and Jews through the front door, period? None." I answered one of my own questions (sorry) this was the first year Austin Muslims had hosted this and they didn't have a big enough space. It was not a prayer room or sanctuary. Did Hyde Park return the money? to clarify one point about the facility that Hyde Park had rented out- it was not part of their physical church building. It wasn't a sanctuary or fellowship hall, it was a gym-like facility that is 10 miles away from the church. So the comparison with a mosque is a little bit off, given that the dinner wouldn't have been held in our Christian equivalent. Austin Area Interreligious Ministries has been having this Thanksgiving prayer gathering for 23 years, and it attracts hundreds of people. If you accept Hyde Park's statement that they didn't realize what the group was, then they simply look utterly oblivious to the community in which they live. And Eileen Flynn is about as far from a "reporter on the attack" as there could possibly be. The ending to the story is kind of interesting. The Jewish synagogue, Congregation Beth Israel, immediately stepped up to the plate and opened their doors to the group...to ALL of the group, including its Muslim members. They said it was an honor. Gee...recollecting my elementary school history...didn't Thanksgiving get its start with diverse people sitting down together? Pilgrims and Indians? Happy Thanksgiving to all! The Georgia Drought - Will Atlanta Go Dry?